Welcome!!! No sign-ups are necessary to jump in on the fun!!! All you need to do is link up at the bottom of each Week's Themes. They will be posted early Friday mornings and closed the following Thursday evening in preparation for the following theme. However, if you would like a reminder email/message, please sign-up, I will be sending out reminders the Friday before. I'm so excited of this fun journey to start!!! To see all the things linked up and shared. With each post I'll be sharing a few of my favorite finds each week whether it's from Pinterest or from the previous week's Linky Party. A really big shout out to all those that have posted about this!! I have seen many buttons around blogland and it just makes me so happy!! And to my CB's from Latter-day Chatter for also helping me get the word out about this! You gals are amazing!! 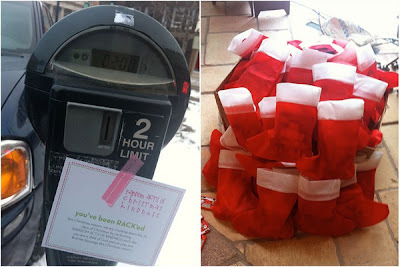 This reminds me of the Birthday Project, but what a fun idea to do it for Christmas time!! I'm sure you could easily do the same thing without the huge monetary amount. 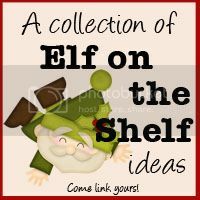 Maybe cookies or cupcakes, candy canes, or small neighbor gifts for your pharmacist, doctor, fire department, police department, librarian, the list could go on...... But what a fun idea! Santa's Magic Key: I love this integrates the importance of keeping the Savior in Christmas, even with Santa. If you've been featured grab a featured button!! 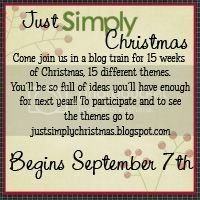 For those of you that would like to participate but do not have a blog please email us (justsimplychristmas@yahoo.com), we will create a post for you and post it here on the blog for others to see. HERE'S A LIST OF THE REMAINING THEMES. JUMP IN MORE THAN ONCE!! Thanks for the feature! Love it! Don't feel bad! I've got inspirations from what you've send, thaks you. 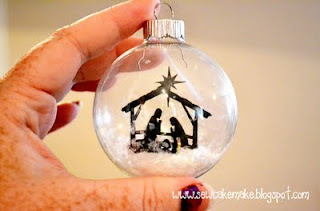 I'll be making the glas ornaments for the sisters I visit as a visitingsteacher - I was out of ideas as for what to give them, so you see, you're a lifesaver. God bless, and have a Merry Christmas. Conny Hillgaard, LDS-mom from Denmark.